The MySmartBlinds Automation Kit is the world’s smartest, easiest, and most attractive way to automate your existing blinds. Our Smartphone controlled venetian blinds is an affordable and cost effective luxury that provides you with added convenience. A contemporary and stylish window treatment that combines superior functionality with a clean and elegant appeal. 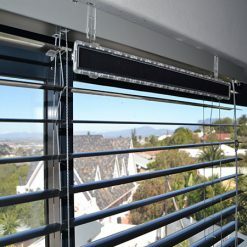 Control privacy and adjust natural light with our easy to install automated venetian blinds. 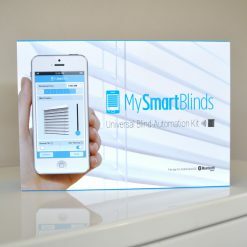 Control your automated blinds from anywhere with the MySmartBlinds app. You’ll have instant control of any blinds as well as options to create programmable schedules. Pull on your wand or cord once for each 45-degree turn, or pull and hold for continuous tilting. 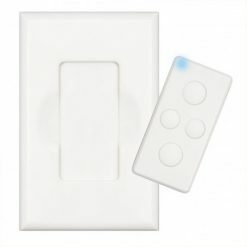 With the Smart Switch’s simple, removable, magnetic remote, you can control up to five groups of blinds at the touch of a button. From the MySmartBlinds app, you’ll have instant control of any blinds as well as options to create programmable schedules.